Old Amaravati and new capital Amaravati are the main attractions of Krishna Pushkaralu. 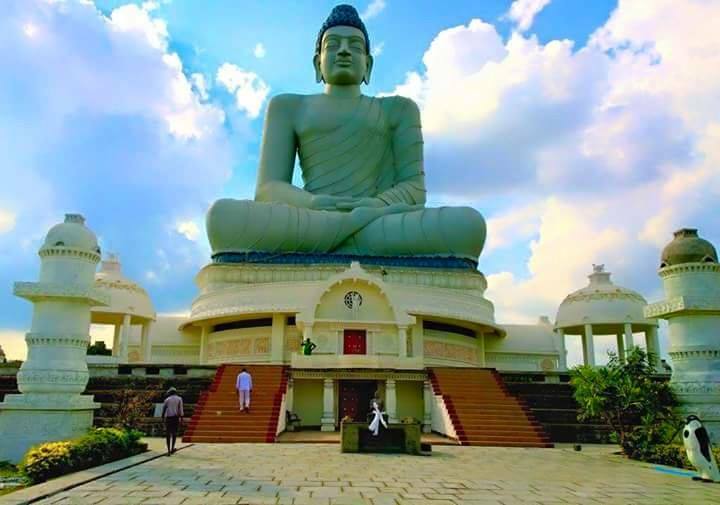 A big ghat would be constructed on the banks of Krishna river adjacent to the 125-feet height Dhyana Buddha at old Amaravati with continuous availability of water for one year. A separate temporary canal from Krishna river will be constructed to provide water for 365 days to this ghat at Dhyana Buddha and further the ghat before the ancient Amaralingeswara temple which is one of the temples of the holy Pancharamas would be developed. The Krishna Pushkaralu would start on August 12 and conclude on August 23. The Tirumala Tirupati Devasthanams is planning to construct Balaji temple in Rayapudi on the banks of Krishna river. Besides this, replicas of the all famous temples would be installed for Pushkaralu at the capital foundation place of Uddandarayunipalem. Hence, old and new Amaravati will be the main attractions of the Krishna Pushakaralu. A team of officials is inspecting the ghats on the Krishna river from old Amaravati to Repalle on Thursday to know about ground-level problems.